Cut out the stencil below. Place the stencil in the middle of a large paper plate. Trace. Have the children color and add the details they would like. Write the alphabet around the edge. 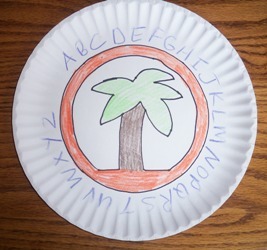 For more Paper Plate Ideas check out this link.